Paris might as well be called the City of Love...for the Arts. 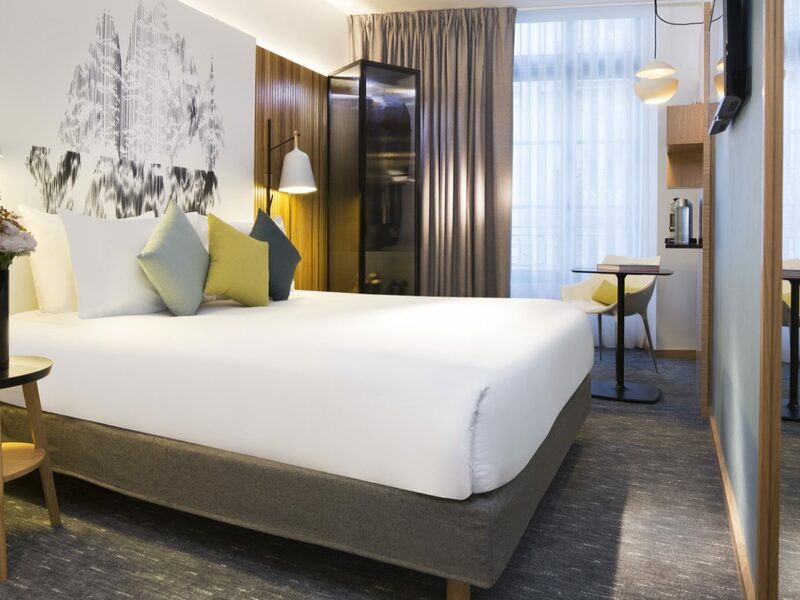 From world-class museums like the Louvre and the Centre Pompidou to historic artists' studios in Montparnasse and Montmartre, incredible works of art are everywhere—even in its hotels. Below, seven of our favorites where art is at the center of the action. 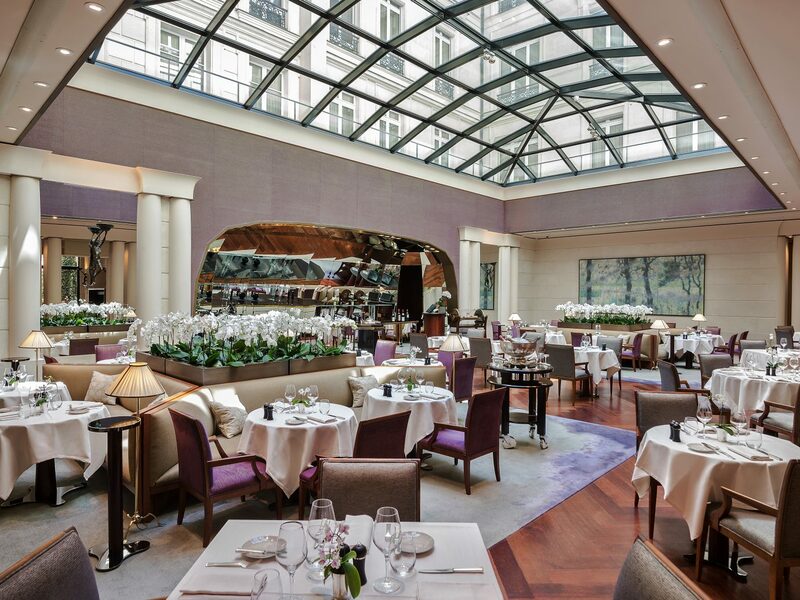 This palace hotel in the 8th arrondissement is a paradise for art lovers. 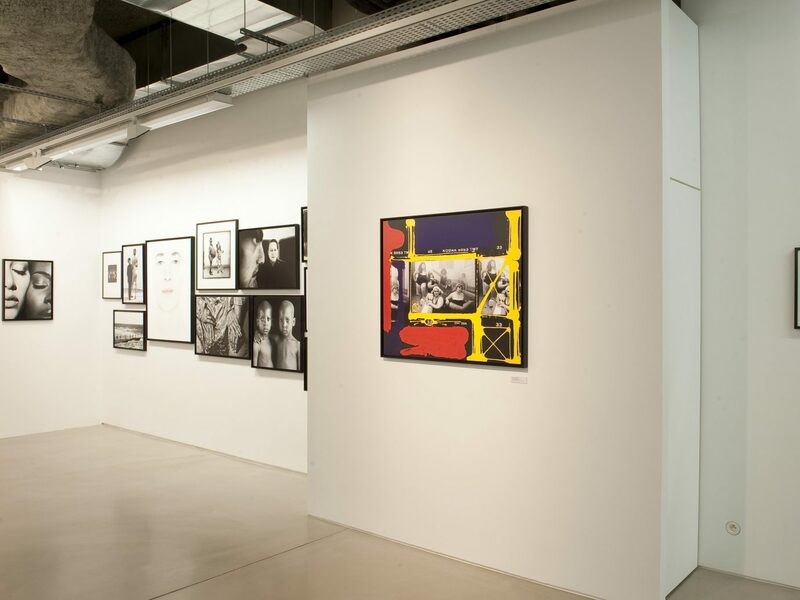 Not only will you find a contemporary art gallery and book shop (both open to the public) on site, there's even a dedicated art concierge on call to arrange whatever cultured pursuit you can dream up—be it a private museum tour, meeting a gallerist, or organizing experiences for children such as guitar lessons. 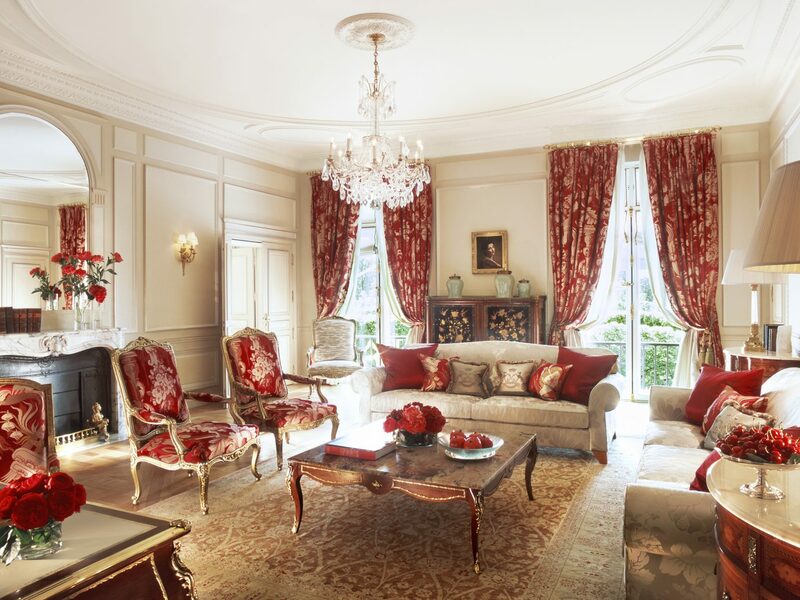 The role was conceived by designer Philippe Starck, who spearheaded the renovation of Le Royal Monceau back in 2010. 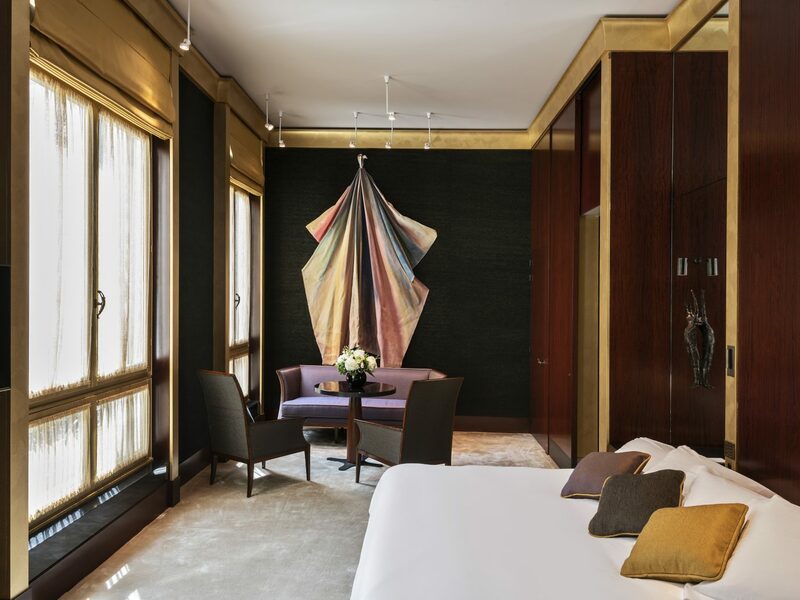 His signature whimsy is everywhere, of course, but doesn't take away from the real art spread throughout the hotel, which includes sculptures, large-scale photographs, and drawings on the mirrors in the halls that belong to Le Royal Monceau's private collection. 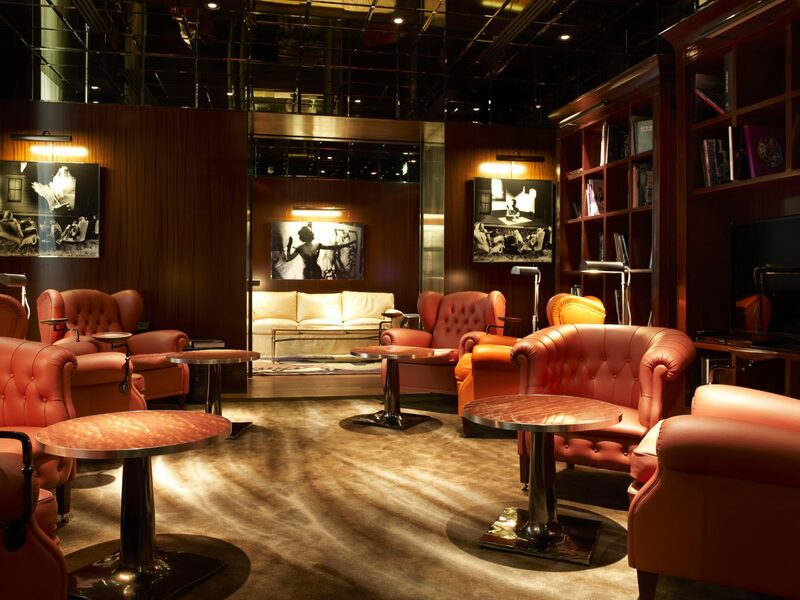 More contemporary than the Raffles but no less regal, there's a decidedly masculine, seductive atmosphere surrounding this particular Park Hyatt. Limestone walls, mahogany paneling, and gilded elements are all courtesy of Aman Resorts decorator Ed Tuttle, while artist Roseline Granet was commissioned to create thousands of unique bronze sculptures (which range in scale from monumental figures at the hotel’s entrance to the door handles in the guest rooms). 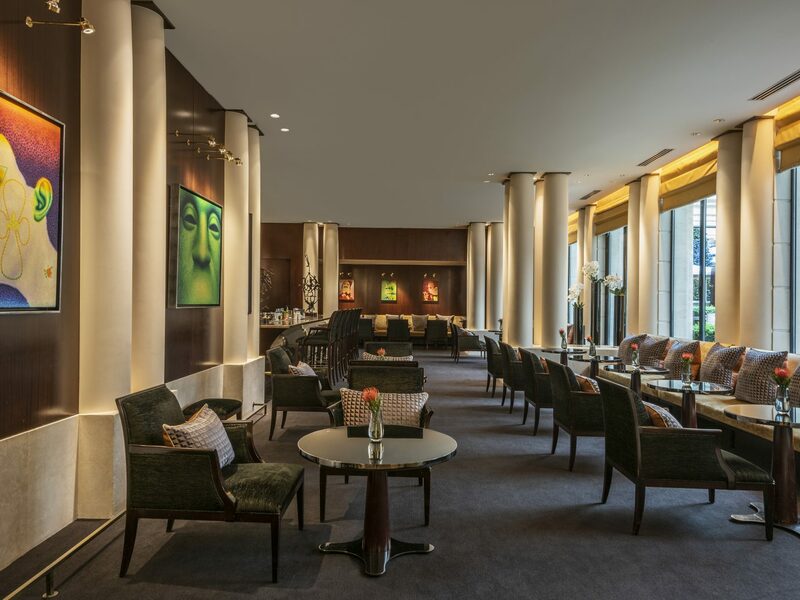 There are even pieces from the hotel’s private collection on display—see if you can spot the seven paintings by Ed Paschke in the bar—curated by dealer Darthea Speyer. 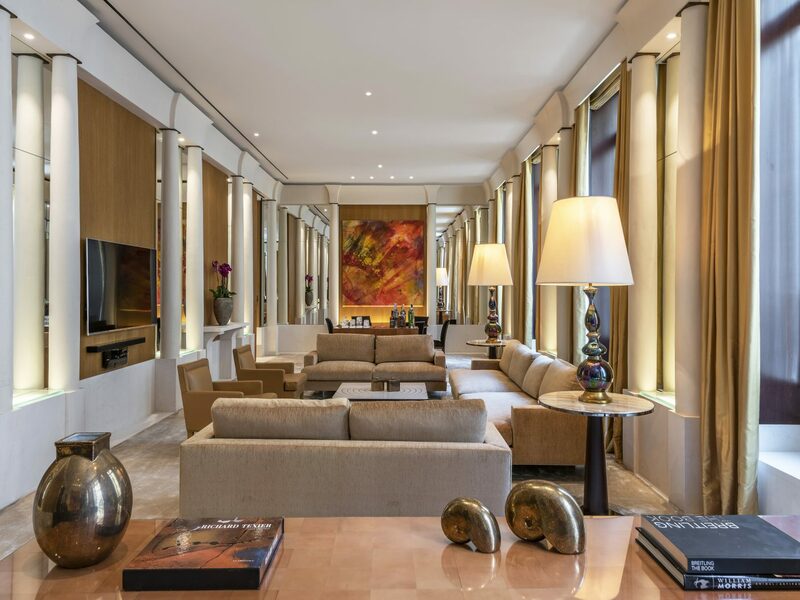 Despite such dramatic interiors, the Park Hyatt's quiet entrance makes it one of Paris's more discreet hotels (many a guest has waltzed by on the first go). Naturally, the property subtlety, and frequently, draws in high-profile guests. 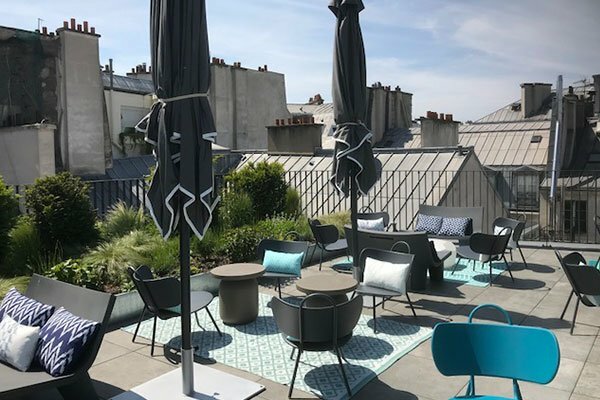 In the heart of the 1st arrondissement, located between the Palais Royale and the Louvre, this newly debuted boutique puts its entire focus on the "art" theme. 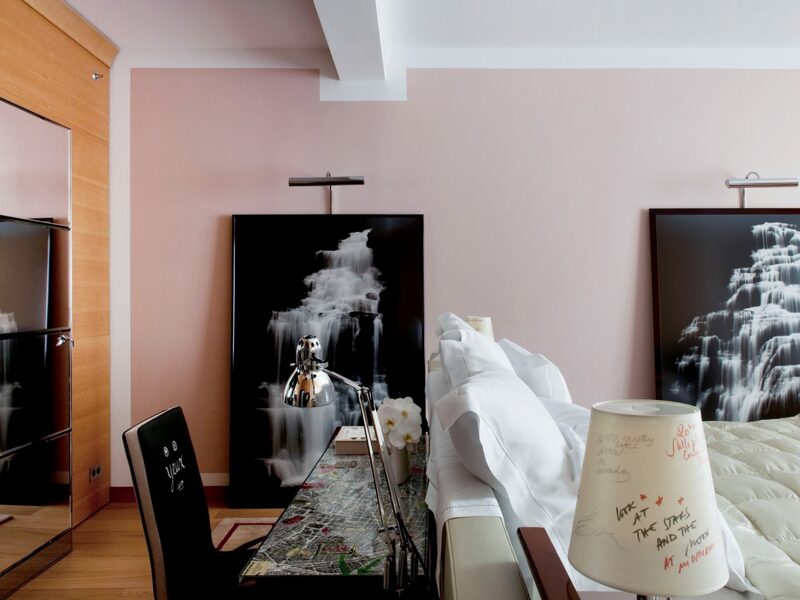 Managing director Carine Tissot, who runs the city's Drawing Now art fair (now in its 12th year), gave six French artists free rein to decorate a separate floor of the hotel. That's why you’ll come across one hallway with a light blue, text-based pattern by duo Lek & Sowat while another features monumental, black-and-white drawings by Abdelkader Benchamma. 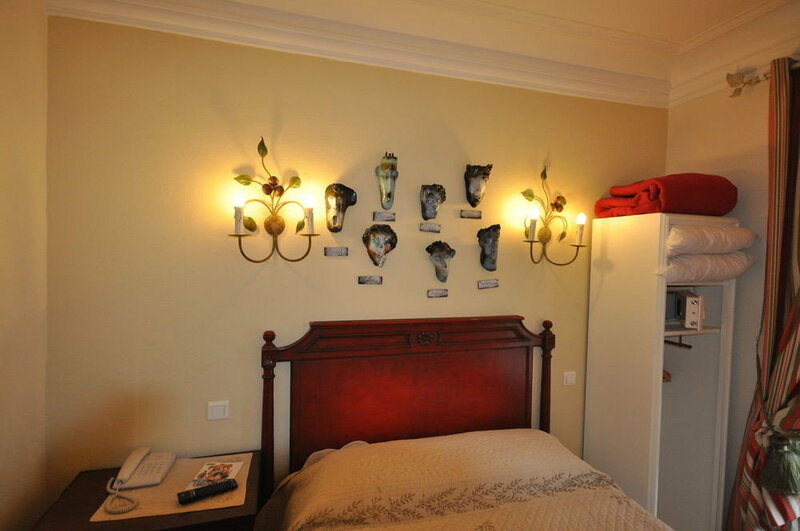 Works by the artists also hang in each of the 48 rooms, which are more streamlined but still welcoming. 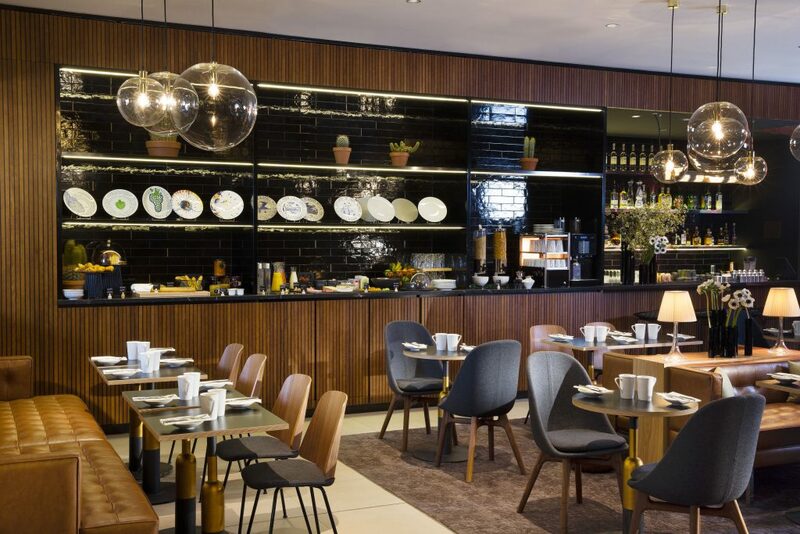 Another element we love: the Drawing Lab Paris, which is headquartered at the hotel, is the first non-profit in the city dedicated solely to drawing. 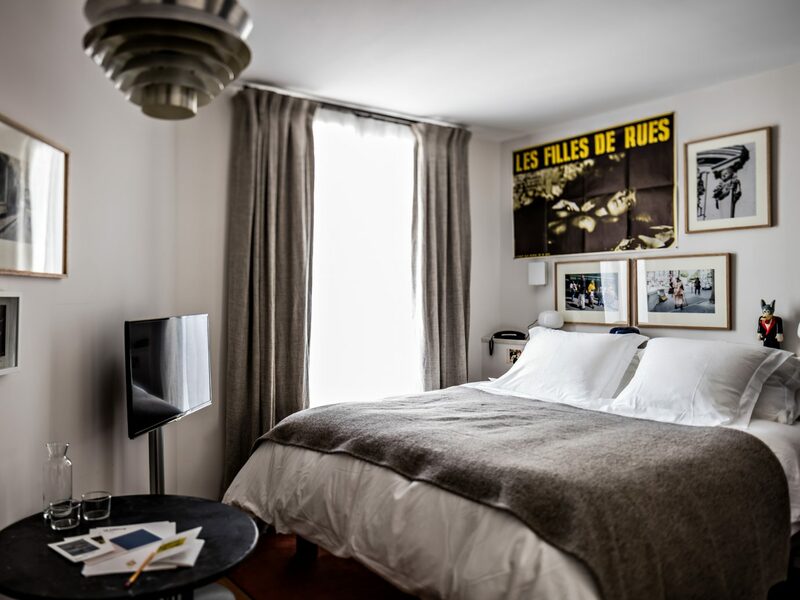 It makes sense that Le Pigalle, located in Paris's former red-light district of the same name, occupies a building that was once a brothel. Today, the hotel is the epitome of retro-chic (vinyl library included) with a strong residential lean: you’ll find photography, drawings, and graphics displayed somewhat haphazardly in the rooms—think staggered frames on shelves, tilted toward the wall—in a way that makes you feel like you’re in a friend’s apartment rather than a hotel room. 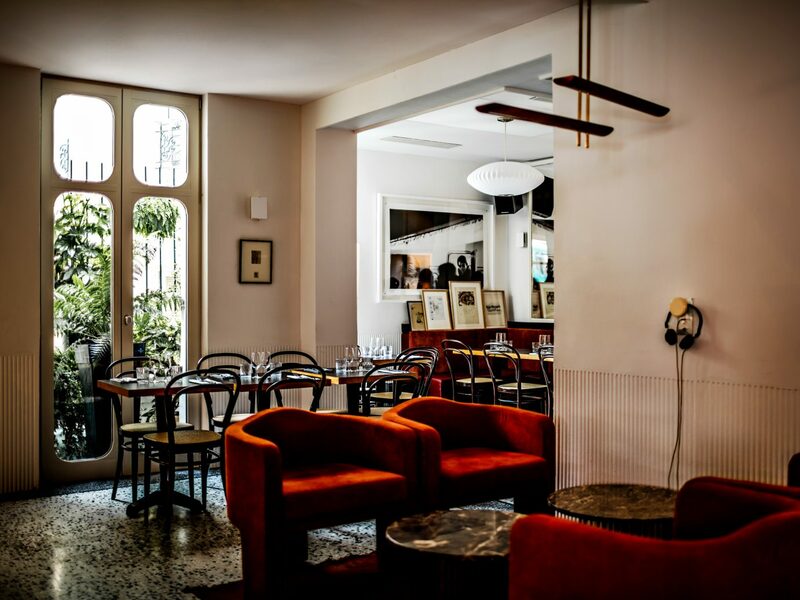 In fact, Pigalle dedicates most of its wall space to works by local artists, and calls on even more locals (florists; gallerists) whenever they're in need of a new piece or flower arrangement. 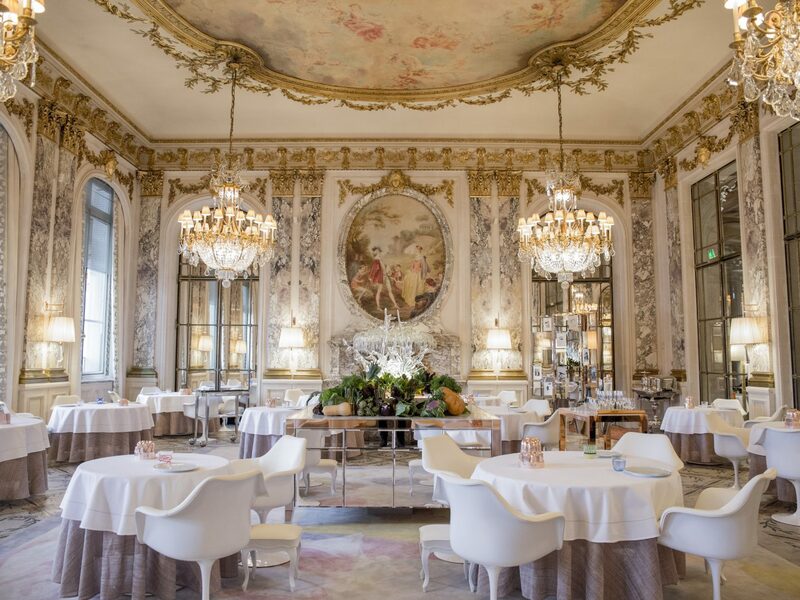 Le Meurice has art in its DNA. 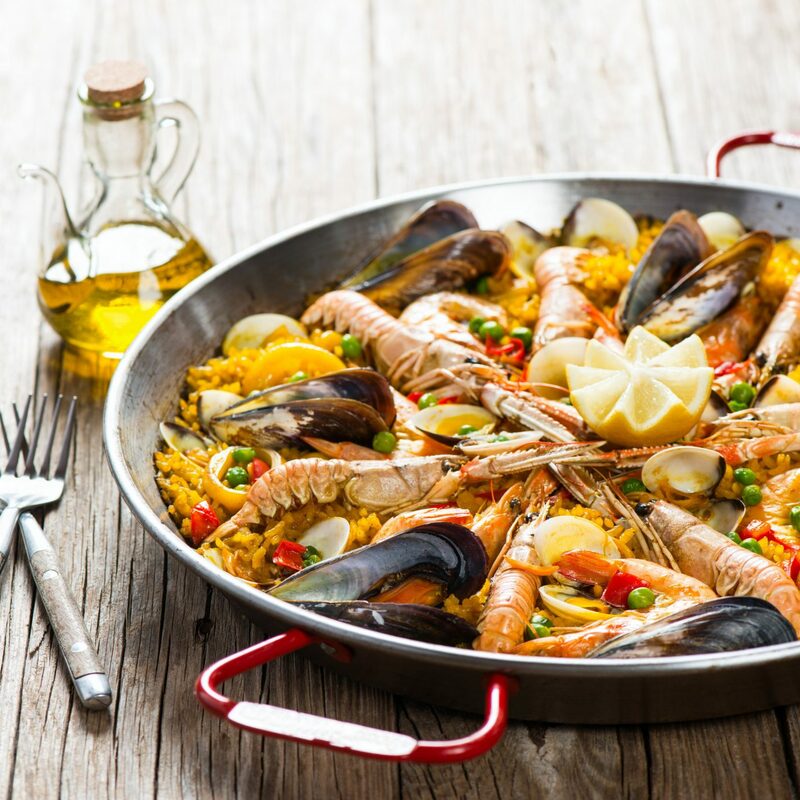 Ever since it opened in its current location in 1835, the hotel has housed numerous artists including Pablo Picasso, Andy Warhol, and, most famously, Salvador Dalí. 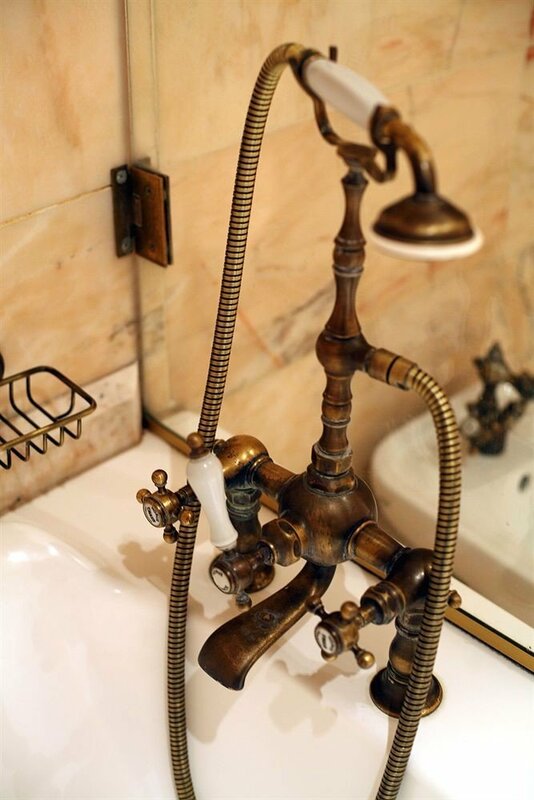 In fact, the surrealist spent a month or two each year at the hotel for some three decades, performing all sorts of mischief—all in the name of art, of course. 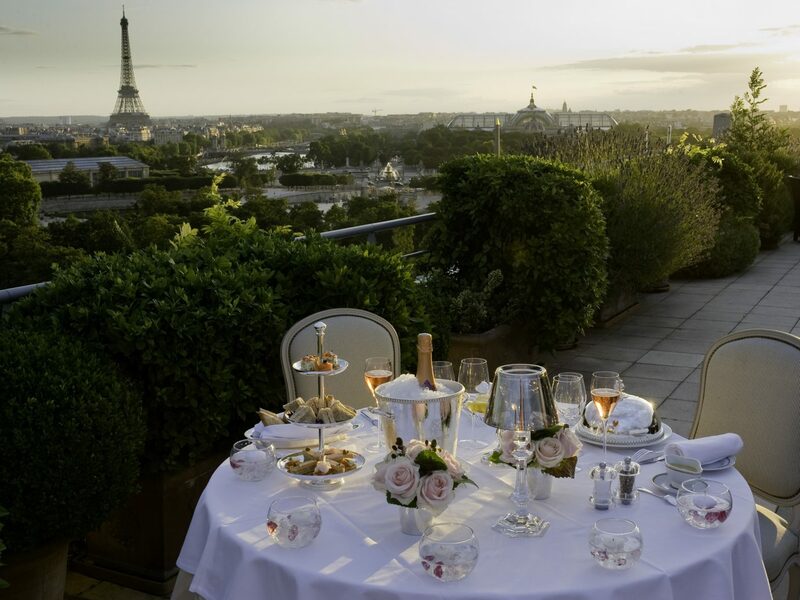 He was rumored to have had animals (goats, sheep, a horse, and even flies captured in the Tuileries garden) delivered to his room, and was also frequently seen bicycling through the hotel’s corridors. Today, he’s memorialized in the hotel’s Le Dalí restaurant, where artist Ara Starck has installed a surrealist ceiling mural. 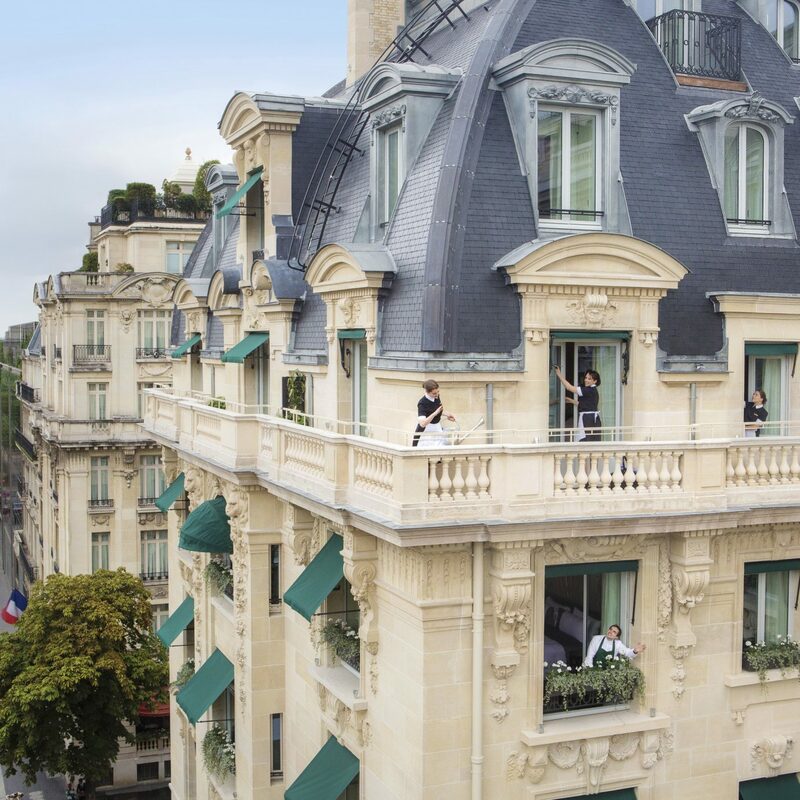 Perhaps inspired by its past, since 2008, the hotel has awarded the Meurice Prize (which includes a hefty sum of €20,000) to up-and-coming contemporary artists to help bolster their practice. During the 1920s and 30s, Montparnasse overtook Montmartre as the artistic hub of Paris, where artists began to settle post-WWI. The 20-room Hôtel des Académies et des Arts is a glimpse of its neighborhood's artistic past: the property sits on the site of Amadeo Modigliani’s former studio and across the street from the former Académie Colarossi (where Paul Gauguin trained) and the former Académie de la Grande Chaumière (where Alberto Giacometti trained). 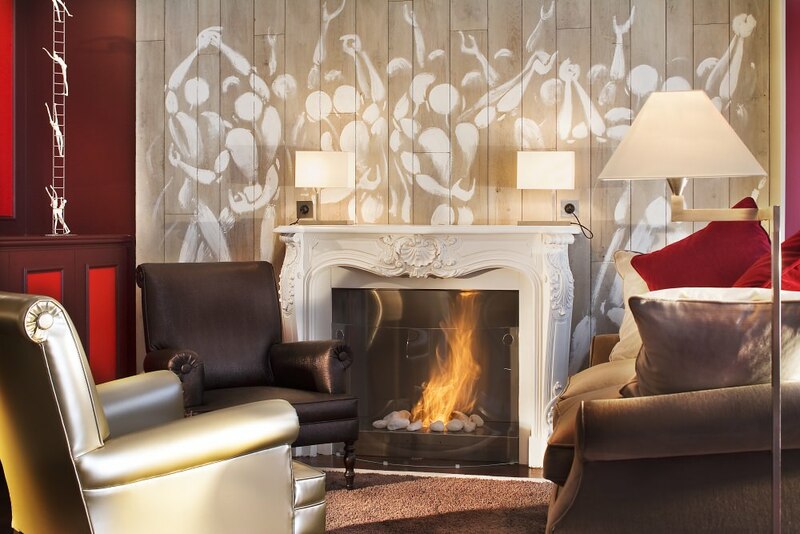 Today, the hotel honors more contemporary French artists. 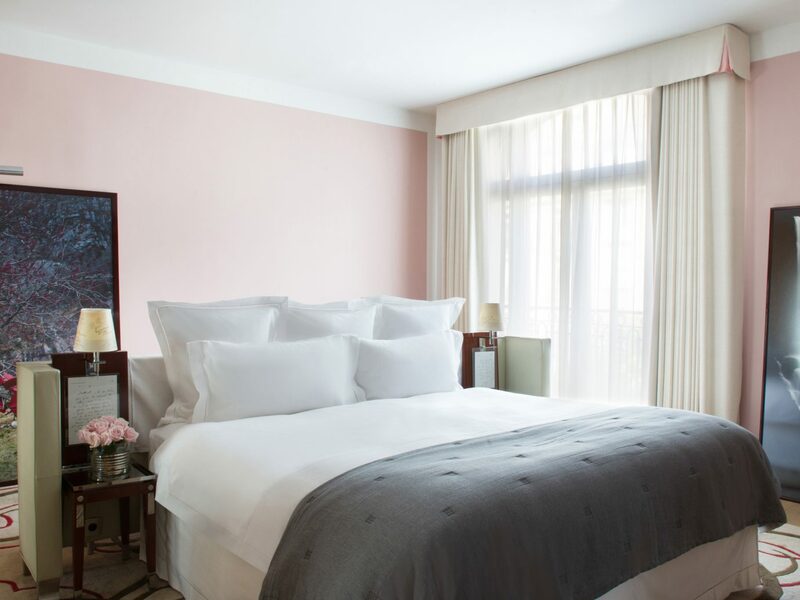 Jérôme Mesnager, for example, painted his signature white figures in guest rooms, while sculptures by Sophie de Watrigant feature prominently in the lobby and other public spaces. Be sure to check out the rotating series of films in the on-site video art gallery. 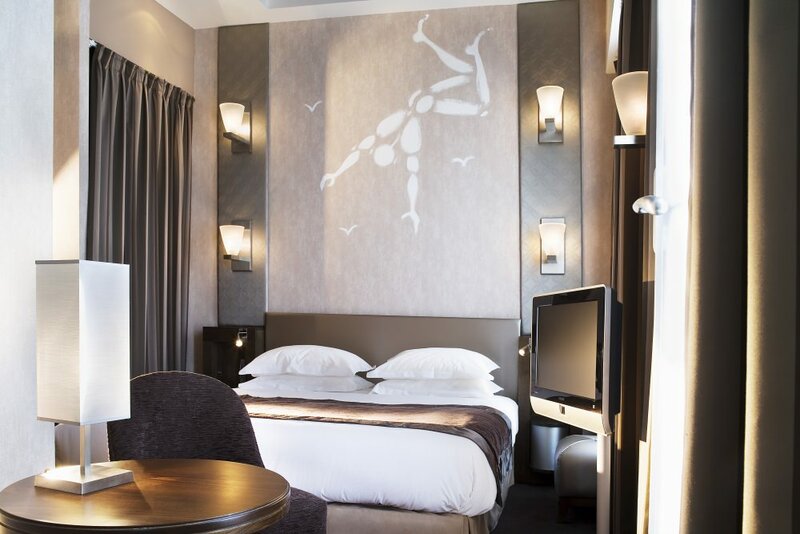 Whereas Le Pigalle has an edgier, more sultry artistic appeal, Hotel Crayon (which you may have guessed from its name) takes a more playful approach. The cheery, colorful, 26-room boutique feels almost like a guesthouse-turned-art school, with its walls covered in large sketches and framed pieces of paper throughout the rooms. 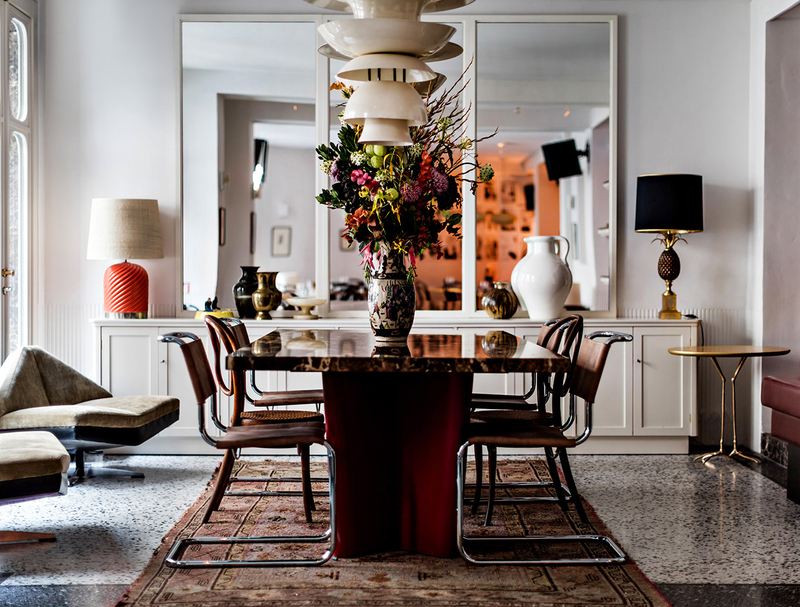 Delightfully mismatched furniture, sourced from flea markets across Paris, adds to the bohemian atmosphere.